It’s up to the Left to revive the interracial working-class movement of the post-War era. Following the war, Northern Republicans and conservative Southern Democrats set about reversing labor’s World War II gains and blocking the expansion of the New Deal to African Americans. 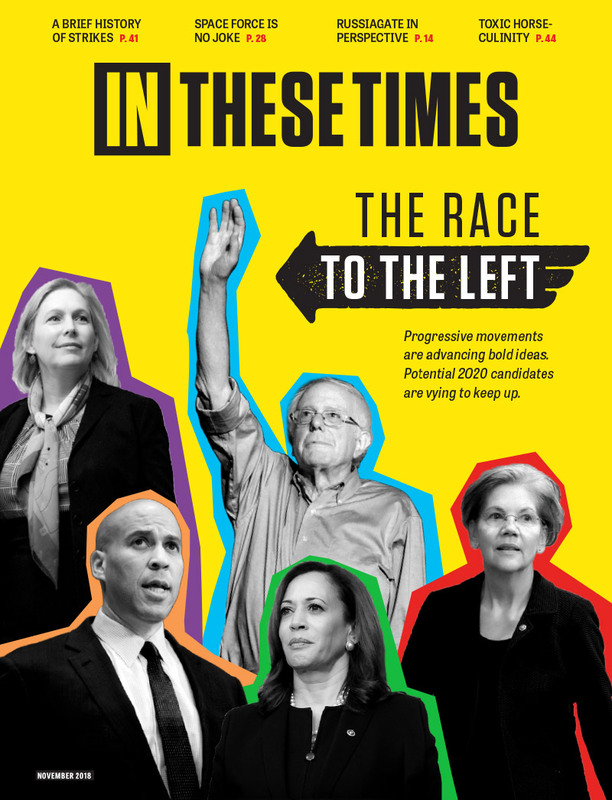 In the flurry of post-election takes on the future of the progressive movement, one concern has emerged most contentious of all: Should the Left focus primarily on class, or race? Would a shift to economic populism reverse—or at least stall—the gains made by women, people of color, and other marginalized groups? While this debate first gathered steam during the Democratic primary, it erupted once more post-election when, 12 days after Trump’s victory, Bernie Sanders called for the Democratic Party to transcend identity liberalism by uniting around working class issues. It is true that white working class politics are often haunted by racism, misogyny or reaction. We have plenty of evidence that “universal” social welfare can actually mean white welfare. After all, Franklin D. Roosevelt’s New Deal— the largest expansion of the welfare state in U.S. history— excluded agricultural and domestic, and by extension black and brown, workers. Federal housing assistance, which ensured that homeownership became the bedrock of upward mobility for the middle class, excluded black and brown people through officially sanctioned redlining and other forms of housing discrimination. (This is an inconvenient truth for those who are nostalgic for a “pre-identity liberalism” in which Democrats rallied around the “common good.”) Racism is not always a symptom of some broader economic problem. Sometimes it’s the disease. It is concerning, however, when the media and other prominent liberal voices portray racism as the natural outcome of a more inclusive class politics. Vox recently raised the ominous possibility that Democrats may abandon people of color to pander to the white working class— but hasn’t the abandonment already occurred? Might the last forty years of neoliberalism, with its shuttered schools, disappeared jobs and overcrowded prisons, offer sufficient evidence of neglect? One worries that the liberal tide against economic populism will provide convenient shelter for the survival of the status quo. The present moment—which forces us to stare into the abyss and ponder seriously, for the first time, the death of neoliberalism—has much to learn from the past. Today is far from the first time leftists have confronted the challenge of meaningfully linking race and class, nor is it the first time the political establishment has tried to stop them. In fact, fights for racial and economic justice have historically been intertwined, and black leftists have led the charge. This history shows that a separation between race and class is by no means inevitable: It took a concerted ideological and political effort by the Right and center to stop the rise of a powerful, interracial working-class movement. And that effort can be undone. While the Cold War era opened up a window for civil rights to become a priority, a grassroots civil rights movement was already in full swing, composed of black and white radicals, labor unions, New Deal progressives and civil rights activists. As the movement’s vanguard, black and Left-led unions, including the Brotherhood of the Sleeping Car Porters, the United Electrical Workers and the National Maritime Union, fought to end racial discrimination in employment and solidify jobs for black workers gained during the war. In a significant victory, A. Philip Randolph and the Brotherhood of Sleeping Car Porters pressured President Franklin Roosevelt to establish a Fair Employment Practices Committee (FEPC) charged with investigating employment discrimination in the defense industry. Black labor activists such as Randolph sought to make the labor movement a leading force in the fight for civil rights—and for good reason. Bolstered by the booming postwar economy and Roosevelt’s labor-friendly policies, this era saw a surge of black participation in unions. By World War II’s end, over half a million black workers were members of unions affiliated with the Congress of Industrial Organizations (CIO). Ultimately, while Truman’s presidency ushered in some landmark achievements, including the desegregation of the armed forces, the Cold War severely damaged the alliance between labor and civil rights. Following the war, Northern Republicans and conservative Southern Democrats set about reversing labor’s World War II gains and blocking the expansion of the New Deal to African Americans. As historian Jacquelyn Dowd Hall points out, they did so, in part, by wielding the Cold War’s most powerful weapon: anti-communism. The Taft-Hartley Act (1947) dealt the most damaging blow to the black-left-labor coalition. The law allowed states to pass “right-to-work” laws prohibiting unions from requiring all workers, not just members, to pay union dues. As a direct result of Taft-Hartley, the CIO abandoned its efforts to organize textile workers in South, narrowing its focus to securing collective bargaining for its existing members, mostly white working-class men in heavy manufacturing industries. Taft Hartley also required unions to purge all Communist members. In response to the act and to anti-Communism within its own leadership, the CIO expelled its left-wing unions, including the International Longshore and Warehouse Union, International Union of Mine, Mill and Smelter Workers, Farm Equipment Union, Food and Tobacco Workers, and the International Fur and Leather Workers Union. The FEPC campaign was also a target of the red scare. Implicitly comparing the FEPC to the Soviet Union, former New Dealer turned conservative Donald Richberg likened the anti-discrimination law to a “national police state,” and “the main plank in the communist platform.” Strom Thurmond would repeat these sentiments in his presidential campaign for the Dixiecrats, one of many segregationists to invoke the specter of anti-Communism to derail early civil rights efforts. The fault lines emerging from the Cold War extended far beyond the NAACP, however. One lasting effect of demonizing prominent Leftists of color (such as Paul Robeson and W.E.B. Du Bois) and dismantling the CIO’s black and Left-led unions was that it quarantined the burgeoning Civil Rights movement from the resources and institutions of the old Left. The result: a weakened Civil Rights movement that could only achieve a tiny fraction of the Black radical vision for social change. Popular memory of the Civil Rights movement has excised its most radical parts—sanitizing Martin Luther King Jr.’s democratic socialism for instance, and pitting him as the nonviolent antithesis of Malcolm X’s militancy. Nevertheless, while influential civil rights activists like King, Ella Baker and Bayard Rustin continued to wage powerful critiques linking race and class, they did so in an environment hostile to organized labor and radicalism. While the movement’s most significant victories—Brown v. Board of Education and the civil rights legislation of 1964 and ‘65—were undoubtedly transformative, many of its more radical economic demands remained unmet. The backlash to this moment is more familiar. Throughout this late 1960s/early 1970s upsurge in interracial labor organizing, Richard Nixon and the GOP launched a coordinated effort to wrest white working-class men from the Democratic Party. By appealing to this constituency on issues such as busing, welfare abuse, and a perception of finite resources and lost privilege, Nixon’s “New Majority” sounded the death knell for the Roosevelt Coalition. In her book From #BlackLivesMatter to Black Liberation, Keeanga-Yamatta Taylor points out that the power of interracial organizing and worker solidarity during this period helps explain why Nixon pivoted to a strategy of colorblind rhetoric with racially coded appeals. On one hand, the relative strength of the Black liberation movement had made outright racism untenable. On the other, Nixon could not wage a direct attack on the Johnson welfare state because poor and working-class whites were collectively benefitting from the War On Poverty. So began a concerted effort by Nixon, and later Ronald Reagan and Bill Clinton, to divide the black and white working class, the groups with the most vested interest in social welfare programs. Using subtly race-infused language, Nixon shored up an army of white working class voters that railed against the perceived excesses of American liberalism by the “undeserving” (i.e., black) poor. In the 1990s, Clinton used the same rhetoric to justify passage of his welfare reform bill, which slashed benefits and criminalized the poor, taking aim specifically at poor people of color. And this brings us to our present moment. While in years past the Democratic party has pursued a policy of racializing social welfare to avoid implementing meaningful economic reform, this election seemed to offer something new: Many liberals framed economic welfare policies as at best limited in their power to address racial inequality, and at worst an instrument of racism. This narrative divides economic issues from concerns of race and gender, portraying our present-day politics as a zero-sum struggle between white, male “brocialists” on one side, and women, LGBTQ people and people of color on the other. From the lips of a Democratic politician who has played a central role in cementing and consolidating the neoliberal consensus, we should view such rhetoric with a high degree of cynicism. The notion that racism operates primarily outside of the realm of economic structures willfully ignores the cruel reality that millions of working people of color face, while also relegating economic and political issues to the realm of personal choice and cultural values. By this definition, racism is primarily a problem of social attitudes. Clinton is following the example of President Dwight D. Eisenhower, who defended his gradualist approach to civil rights by remarking, “You cannot change people’s hearts merely by laws.” This is not only reductive, it’s dangerous: It dismisses racism as a fundamentally intractable problem of “the heart,” not the state. Of course, regulation of the banking industry will not, by itself, fix the economic devastation facing poor and working-class people of color. For example, homeownership and unequal access to wealth accumulation have also played critical roles in creating and sustaining racial disparities in the U.S. for generations. The Left needs to learn from the Movement for Black Lives, as well as the long black radical tradition, and mobilize against the root forms of racial and economic injustice—in finance, housing, jobs, public education, healthcare and the criminal justice system. There is an alternative—one that disavows a false choice between so-called “identity politics” and color-blind social welfare policies. Such a path would combine broad-based economic reform with a genuine, rather than pandering, commitment to racial justice. It would draw the critical connections between race and capitalism, addressing for example, the plunder of black Americans at the heart of our municipal court system, or the symbiotic relationship between overfunding police departments and privatizing public education. If we listen to Clinton and the Democratic Party establishment, this path is too idealistic to pursue with a crypto-fascist in the White House. Undoubtedly, we’re living in an age when even the most basic civil liberties are under assault. But steeling ourselves against the immediate onslaught should not mean hewing to the center—if the Left wants to cede no further ground to fascism, a policy of defensive moderation will not be enough. The problem of racial inequity will never be confronted if it remains confined to the terrain of culture and individual identity, and detached from its economic roots. Key to the struggle will be wresting control of the narrative from political and economic elites, who will go to great lengths to preserve the status quo. The new movement must understand efforts to fracture interracial class solidarity historically, as part of a long-standing tradition of both the right and center-left. Above all, the Left must not abandon its commitment to challenging the knowable devil, our economic order, which has given us forty years of racial devastation and promises more of the same. A "Rachel" Johnson says these things. A reasoned pro-con discussion ensues. I submit that if a "Richard" Johnson had said these things, these comments would contain at least a dozen uses of such terms as "brocialist," "brocialism," "privilege," "intersectionality," and perhaps even "woke." Herbert Marcuse won and solidarity lost. For good. The left is so fractured by demographic infighting that the cause is lost. There simply is no cause anymore, because there are a hundred of them. You want to help women of color? Give them a raise. Give them a safety net that gives them an alternative to structural joblessness. Raise the standard of public education. Give them free health care including family planning. Make these programs so fulsome and effective that they permit dignity rather than despair. If you want that, you're going to need to be more than "woke." You're going to need to be emotionally capable of inter-demographic cooperation. I agree that Sanders failed in his claim that immigrants would take jobs away from U.S. citizens. I also was disappointed by his failure to support reparations. However, the neoliberal Democrats and their allies, the neocon Republicans, have been in lock step in undermining the vast majority of Americans economically for the last three and a half decades. Sanders policies, at least, would have been beneficial to all in the working class and the movement he inspired does not take away from the points made in this article. If you can suggest one politician who can do what Sanders did, and yet is better than Sanders, I'm all for it. Not all white people are middle class and not all people of color are poor. 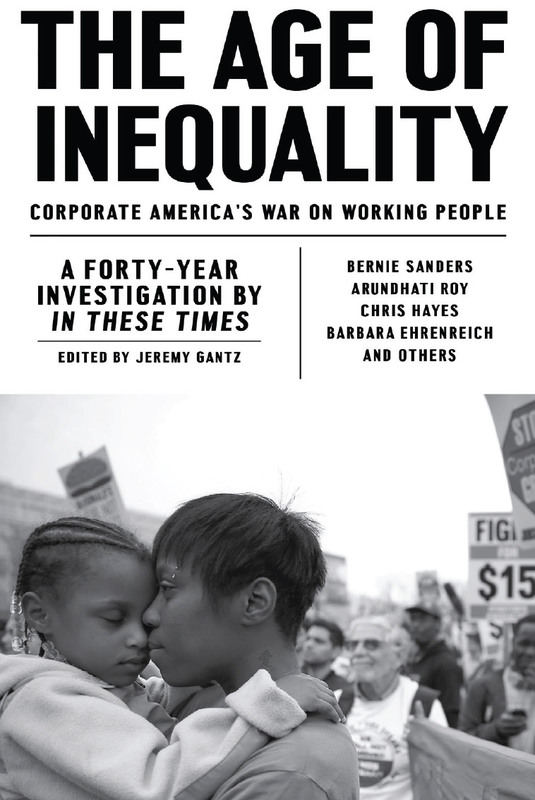 divisions and separations of peoples who suffer from unfair tax laws and economic inequality. into haves and have nots; that is class warfare. Look no further than the failure of immigration reform to pass in 2007 for evidence of what happens when people of color and/or immigrants are asked to do what's best for a broader "working class movement." Your boy Bernie voted against the bill because he said it would "take jobs away from hard-working (read: white) Americans." Not buying it. I have experience in the women's movement and the LGBTQ movement. In both efforts, people of color have faced endless struggle. Marginalization, undermining of leadership, dismissal of key race-based issues were constant. In the larger movements for all kinds of civil rights we worked to include women's issues, people of color issues, and LGBTQ issues and many more. The struggle was constant and exhausting. Our opponents, ourselves, using the zero sum concept the author notes made the struggles even harder and often meant that the less privileged/more marginalized groups simply did not have the resources to bring the larger groups into agreement or even acceptance of their needs. Of course, the larger groups or coalitions often included male supremacists, racists and other saboteurs. All of the coalitions were burdened with white privilege and resistance to leadership from anyone other than white elites. Now, in the days since Trump was inaugurated, I have heard three times from white men that women should set aside their issues so that class struggle could rise in the Democratic party--the shattered remains of the larger left movement. I wonder if people of color are hearing the same thing. If we are hearing this advocacy that we set aside our issues for the greater white men's good, then we have a very big struggle ahead.